TRNAVA, Slovakia (September 2) - The final women's wrestling entries for the #Trnava2018 World Championships have been submitted and the most surprising entry comes from reigning senior-level world champion, Yui SUSAKI (JPN). 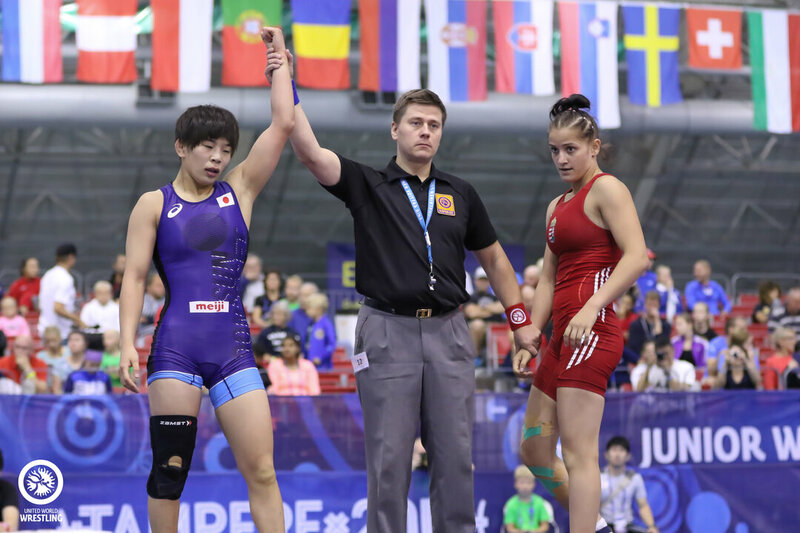 Susaki, Japan's 19-year-old superstar won three straight Cadet World Championships before heading to Paris last year to claim her first senior-level World Championship, defeating current world No.1 Alina VUC (ROU), 14-4. The 2018 Junior World Championships will be Susaki's first junior-level competition ever. Another surprising entry comes from France's U23 world champion and 2017 world bronze medalist, Koumba LARROQUE. Larroque enters her first junior-level competition since winning the 2016 Junior World Championship gold medal. Reigning champions Sae NANJO (JPN) and Khanum VELIEVA (RUS) also make their return to the Junior World Championships with hopes of winning back-to-back gold medals. TRNAVA, Slovakia (September 23) – Russia closed out the 2018 Junior World Championships winning the freestyle team title on the backs of five individual gold medals. Heading into the final day of wrestling, the Russian Federation led the second-place United States by 31 points and finished 67 points ahead of the returning champions. Russia grabbed a trio of gold medals on the sixth day of competition and seized championships from Abasgadzhi MAGOMEDOV (RUS) and Soslan KHINCHAGOV (RUS) on the seventh day of wrestling at Trnava’s City Sports Hall. Abasgadzhi Magomedov improved his 2015 cadet runner-up finish, ending the 61kg finals bout early, grabbing the 10-0 technical superiority victory over Georgia’s Ramaz TURMANIDZE. 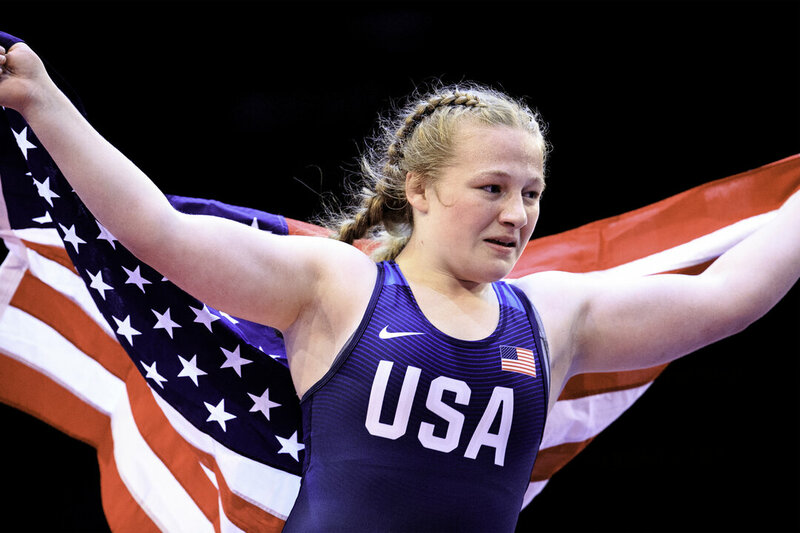 The 2016 junior European champion technically and tactfully scored three takedowns via short drags, and two gut-wrenches, ending the gold-medal bout in 2:50. Soslan KHINCHAGOV (RUS), who was competing in his first age-level world championship since claiming the silver medal at the 2015 Cadet World Championships, shutout Aly BARGHOUT (CAN), 7-0 in the 125kg finals, giving Russia their fifth and final gold medal of the tournament. Overall, Russia capped off the 2018 Junior World Championships with seven medalists. In addition to their five gold medals, they also won a silver and bronze medal. Though they had seven medalists a year ago, there five gold medals are an improvement from last year’s four gold medals. Meanwhile, in his third career freestyle tournament, Mekhi LEWIS (USA) sealed the team silver medal for the United States with a 5-1 win over Abubakr ABAKAROV (AZE) in the 74kg finals. Lewis trailed 1-0 in the opening period, surrendering a passivity point before scoring a takedown and stepout, controlling a 3-1 lead into the final period. In the second period, Lewis scored a brutality point and a second stepout to give America their first champion across any division of the 2018 Junior World Championships. In the 86kg gold-medal bout, Arif OZEN (TUR) stopped Deepak PUNIA (IND) from winning India’s first freestyle junior world gold medal since 2001. The Turkish wrestler struck first, scoring an early takedown, which ended up being the match-deciding takedown. Ozen gave up a stepout as time expired, but won the match, 2-1, giving Turkey their first freestyle gold medal of these championships. Abbas Ali FOROUTANRAMI (IRI) put on a takedown clinic in the 92kg championships bout, blanking Alisher YERGALI (KAZ), 11-0. After three-minutes, Foroutanrami commanded the 3-0 lead before firing off four takedowns in the second period to end the match with the technical superiority victory.